So the Forum Bully Double Dog is another new Double Dog creation that we call hybrid rocker. 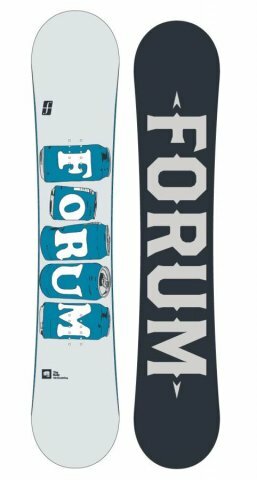 Even though Forum is owned by Burton they didn’t seem to follow Burton’s hybrid rocker design. It seems to feel/be more like the hybrid rocker boards from Never Summer, Mervin and Rome. The Bully DD has the same advantages and some trappings that many hybrid rocker boards do. There is effortless float in powder and the ride is super forgiving. It’s nice to see a little set back and a twin like shape from Forum. So if you want to carve out a turn or just ride one direction on a deep powder day you have a little advantage over a twin. This is borderline All mountain but because of the soft park friendly flex it’s more all mountain freestyle. If you ride in mostly good conditions and are on a budget the Bully will do very well as a mellow soft loose, poppy and very playful all mountain freestyle board. Ah man what a soft and playful forum board. In a lot of ways the Bully is like an all mountain freestyle continuation of the Youngblood. It comes in more mountain friendly sizes and has a little set back. Forum does hybrid rocker well. It’s no high speed assault board but we all had a blast enjoying all that the park had to offer and playing around the mountain. On Snow Feel: The feeling between the feet is pretty loose in harder snow but it feels pretty stable when the snow is softer. All we wanted to do was play around and turn the mountain into a park. It was fun to make a few turns, butter, Ollie, spin ect around the mountain. It’s not for higher speed groomer assaults but it’s all about playing around. 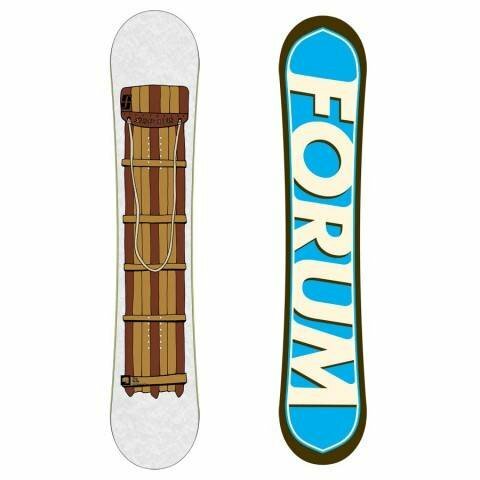 Powder: The double dog aka hybrid rocker shape is a lot of fun in powder. The -10mm set back helps a little and makes this a little easier for directional pow riding. Still it shines more for those that want to ride switch with a centered stance on the mountain . 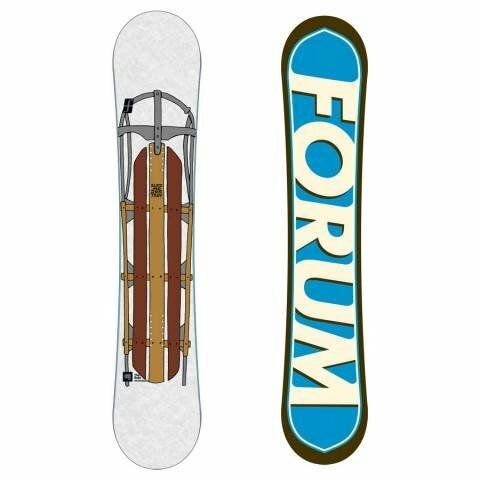 Turn Initiation and Carving: This hybrid rocker shape along with the soft torsional flex makes for a very easy board to turn. The hybrid rocker bend is mellow enough to make for an easy turns while not being to loose between the feet that it’s annoying. You can make short radius turns with very little effort and then engage into a carve that isn’t that bad. It’s got enough camber in the tip and tail to make it decent on a hard turn. Speed: The Bully is fine at moderate speeds but it’s chattery nature would be exposed on a big mountain with wide open runs made for speed. 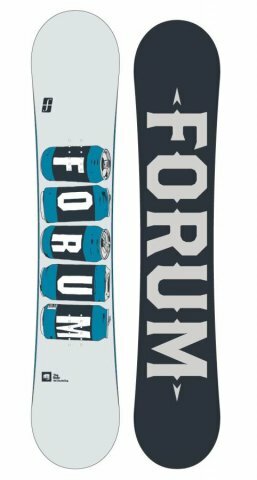 Uneven Snow– Forum and Burton are very similar in the way they handle uneven snow. When it’s time to slow down and deal with bumps this does a great job. Approximate Weight- Pretty light but lets face it we don’t put boards on scales so we can’t say for sure. It was easy on the knees riding up the chair. Switch: This is a twinish shape but it’s very close to a directional twin. Switch is pretty easy on this board. Rails/Jibbing: Not bad in the Jib park. There are better boards but it’s pretty good for a board with a slightly all mountain freestyle feel. We had no problem going through the jib park and hitting most mellow rails. Pipe: Not enough edge hold to rock the pipe full time but it will do well on a soft sunny day. Jumps: Super fun on jumps. It’s springy nature is fun getting your own air or hitting a small to medium sized kickers. 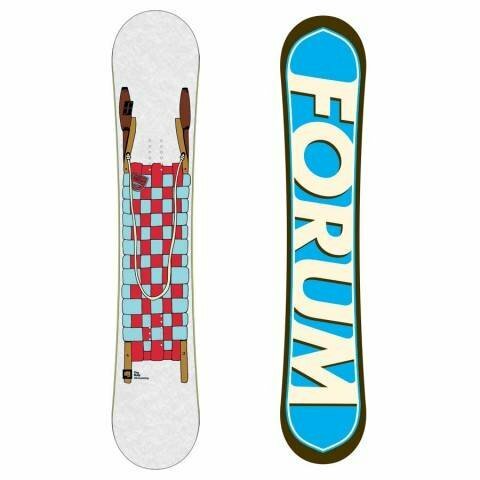 It’s very forgiving and the kind of board that invites you to try new things. We try to get as many images of the Forum Bully, but forgive us if they're not all there.